Anytime cable is involved, Lebus can help. 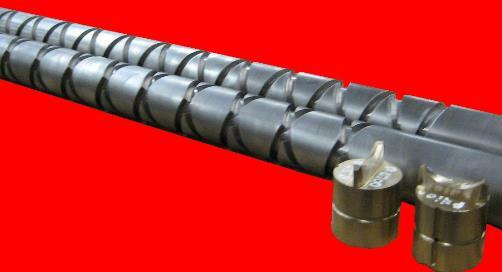 Sleeves have become the most popular method of installing LeBus Grooves. 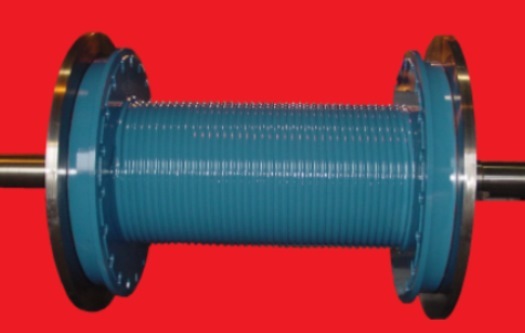 With a sleeve, if the rope size needs to be changed it can be done by changing the sleeve only, instead of the complete drum assembly. Also when it comes to wear, it is usually cheaper to replace a worn out sleeve instead of replacing or repairing the complete drum. Fleet Angle Compensators are the perfect solution for reducing the fleet angle when the fixed point cannot be positioned far enough away to do so. The best thing about a fleet angle compensator is it has no direct contact to the drum except for the cable itself, and does not have to be timed with the drum. Keep in mind though, this device does not spool the cable - it only compensates for a bad fleet angle (hence the name). LeBus has been called on to make diamond screw level winds for varied applications where the LeBus Fleet Angle Compensator would not be practical. In some applications of spooling wire rope, a Diamond Screw Levelwind would be more suitable than a Fleet Angle Compensator. LeBus has long been a designer and manufacturer of drums of all sizes. 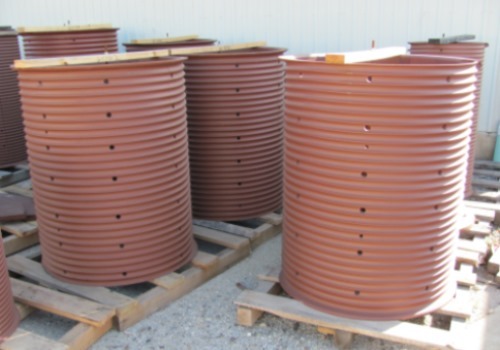 We are currently a major supplier of many oilfield drums. We are capable of complete manufacture of drums from 4 inches in diameter up to 10 feet or better. They can range from just a few inches long to 40 feet overall length. 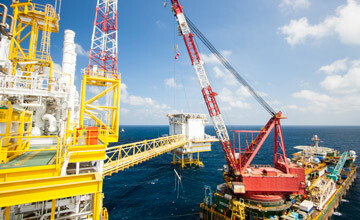 The name LeBus has been around the oil field industry since it was just a blacksmith shop in 1900. 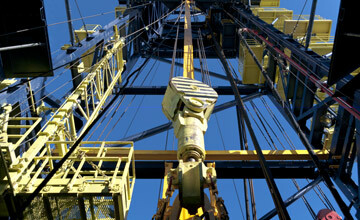 LeBus started out by manufacturing speciality tools for the booming west Texas oil fields. Tool pushers and/or owners would see a specific need for a new tool and LeBus would forge the new tools on demand. Soon LeBus was into the manufacturing and selling of fishing tools, drill collars, tool joints and rotary bits. 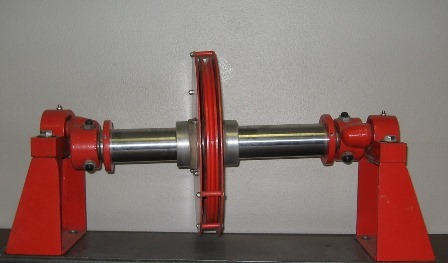 LeBus manufactured the "Eureka Pipe Wrench" and the "Slip Socket Overshot". 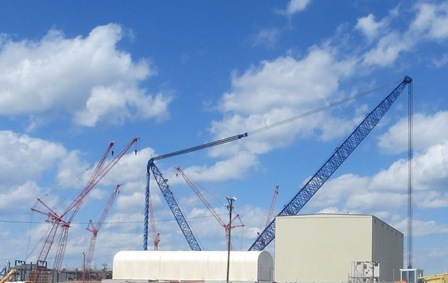 The common element in each case was the hoisting machinery, specifically the drum and wire rope, which was the main "workhorse" of the drilling rig. LeBus noticed that the wire rope would not lay in a consistent pattern on the drum. This caused undue wear and scrubbing of the wire rope. Something better was on the horizon. Q: What spooling angle is required for the HELICAL groove? A: In the case of single-layer wound cable drums, the spooling angle of 3° should not be exceeded. Take a look at what's going on here at LeBus along with the latest news articles in our "What's New" Blog. 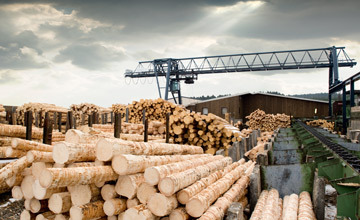 LeBus prides itself in our extensive rework capabilities to "Like New" conditions. Check out our photography & videos to learn more. As we continue to grow our business, we’re always interested in talking with energetic and dedicated individuals who would like to join our team. If interested please fill out and application or submit your resume.